ROMANIA Solaris Bus & Coach has signed a framework contract for the delivery of 50 Trollino 18 vehicles to the Romanian city of Cluj Napoca. The ordering party is the municipality, while the operator of the buses will be local transport provider, CTP Cluj Napoca. Inline with the contract, the vehicles will be supplied in batches once every half year. The Trollino 18s ordered will be the first articulated trolleybuses delivered by Solaris to a Romanian customer. The vehicles will be fitted with a 250kW traction motor and use supercapacitators for energy storage. Carrying capacity will be 140 passengers, of whom 36 are seated. The driveline will be provided by Skoda. This is not the first order for Cluj Napoca fulfilled by Solaris. 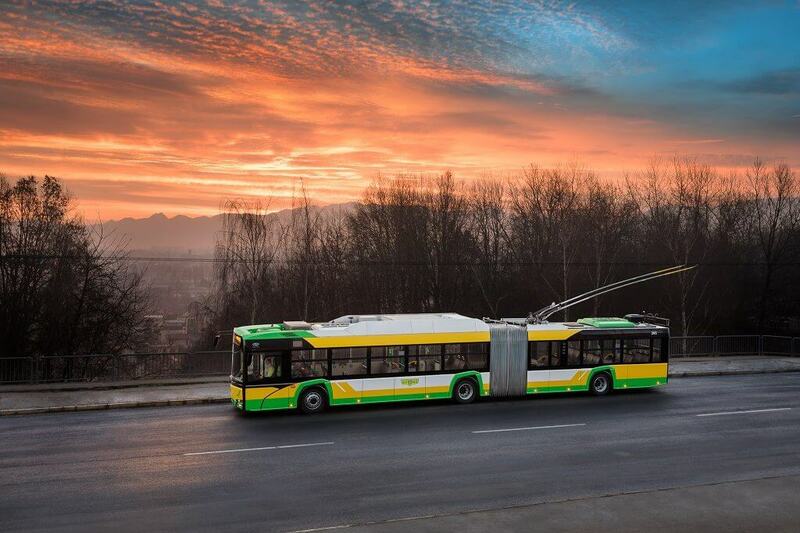 Last year, the city’s authorities ordered 23 Solaris Urbino 12 electrics. Eleven of those are already in use, whereas the remaining 12 are to be supplied by the end of this year. As part of the contractual option the manufacturer may supply another 18. Taking into account the current order, CTP Cluj Napoca will become the operator with the biggest fleet of Solaris vehicles in Romania. It is also the biggest operator of electric buses in that country and, taking into account its green transport-focused purchasing plans, the city is one of the most advanced in Europe in terms of electromobility. Solaris Bus & Coach is a Europe-wide producer of trolleybuses, which have been part of its offer since 2001. Solaris vehicles powered by means of traction lines are already running in Rome, Budapest, Vilnius, Salzburg and Gdynia, among others. Last year, Solaris supplied trolleybuses with hydrogen fuel cells as range extenders to Riga.